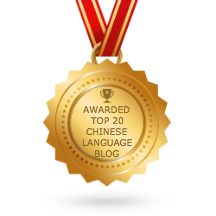 We will continue with list of “special” Chinese sentences/expressions. If you have forgotten about the previous sentences, here is the Part I. 9. 别送了。 bié sòng le. Function: Very polite. The guest says this to the host when the guest feels it’s not necessary for the host to see them out. 10. 我敬你一杯。wǒ jìng nǐ yì bēi. Literally: This phrase is difficult to translate literally. 敬 jìnɡ here symbolises respect given to the second party. Function: Said when you wish to raise your drink to someone, to drink with them or propose a toast. Near-equivalent phrase in English: “I drink to you” or “Cheers”. 11. 我会考虑一下的。wǒ huì kǎo lǜ yí xià de. Literally: “I will consider [it]”. Near-equivalent phrase in English: “I’ll think about it”. 12.你去忙你的吧。 Nǐ qù máng nǐ de ba. Literally: “You go do what you’re busy with”. Function: Used to let someone know that they can continue doing what they are doing, while you go and do something else. 13. 我不是说你。 wǒ bú shì shuō nǐ. Function: Use to preface something critical you’re about to say and urge the other person not to be offende by it. Literally: Difficult to translate literally; 至于 zhìyú is a verb used to indicate that something has reached a certain level, while 吗 ma creates a quesion structure. Function: Used to express doubt what someone says. You may reply as 至于 zhìyú or 不至于 bù zhìyú. 15. 你吓死我了。 nǐ xià sǐ wǒ le. Function: Used to express one’s fear or concern about someone. Near-equivalent phrase in English: “You scared the crap outta me” or “You freaked me out” or “You made me concerned” depending on situation. Function: Used to express that, when it comes to making a particular decision, you don’t really mind either way. Near-equivalent phrase in English: “Up to you” or “I’m easy.” “What ever/ I don’t care” depending on the situation. Function: These three different phrases are used in different situations, though they may be said after one another. They are normally used when greeting a guest and you wish to show them your hospitality — to come in and / or take a seat and / or eat. 18. [某人]不在状态。[Somebody] bú zài zhuàng tài. Function: Used to explain that someone — perhaps a friend or a family member — is not feeling very well.